I recently discovered Black-Sesame Orange gelato and fell in love. I can’t think of the right words to describe it, it’s the Empire State Building, the Frank Sinatra, the Tiffany’s of desserts. There was a taste that I have never experienced before, black sesame. I needed to re-create the taste so I made a Black-Sesame Orange syrup. I can’t express how well it pairs with Encanto Pisco, it might just be the Carnegie Hall of cocktails. ‘Empire State’ is a perfectly paired harmony with Encanto Pisco’s rich, velvety mouthfeel of jasmine, chocolate, and pepper. 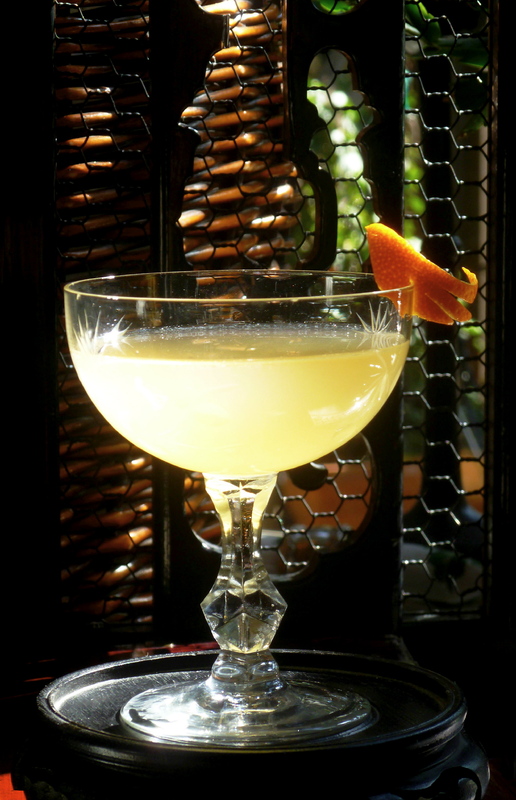 Hints of Cocchi Americano wine flavors the pisco with cinchona bark, spices and exotic botanicals, layered with black-sesame orange syrup that is nutty, vanilla-like with suggestions of candied orange. With this ‘Empire State’ my heart melts the same way Carrie Bradshaw’s did in a pair of Manolo Blahnik stilettos. Add all ingredients into a shaker with ice. Shake well. Fine strain into a chilled glass and garnish with an orange peel. Place one heaping tablespoon black sesame seeds in the bottom of a small saucepan. Turn on heat to low and let seeds brown until black and shiny. Add all other ingredients. Let simmer for ten minutes. Let cool. Place in a blender and blend until smooth. Fine strain into an airtight container.